Hamilton-Bayly's book spans a working lifetime; first as a young bachelor farmer in Kenya, followed by a career as a Prison Officer in various African territories. To many people the Colonial Prisons Service might seem an unlikely vehicle for a book of reminiscences, and the officers of that Service are not generally noted for their literary accomplishments. All the more credit therefore to Hamilton-Bayly for proving the exception, and for widening the scope of his narrative to include many amusing vignettes, which have little or nothing to do with prisons. The book is written in a simple, workaday - almost a conversational - style, which well illustrates the ambience of the environment in which the author worked. His description of his early life in Kenya during the depression of the thirties will evoke stark memories in those who lived through that period. The hardship, the financial uncertainties, the locusts, the desperate search for any form of employment are all revealed in their grim reality, although not without touches of humour. It was the Kenya Prisons Service at that time which gave him his chance and led to his vocation. Hamilton-Bayly joined the Prisons Service in Nairobi as a temporary officer to assist in the supervision of a European prisoner charged with murder, who was subsequently executed, and there after saw unbroken service until his final retirement as Commissioner in Zanzibar. He had clearly found his metier. He was undoubtedly a man of action rather than a theorist; neither analytical nor censorious. But he saw the problems clearly enough, particularly the twin difficulties that beset all colonial prisons: shortage of funds and inadequate staff. And he did his best, assisted by his enterprising and resourceful wife, to ameliorate the conditions of all in his charge. Those who experienced similar lives as prison officers will share a fellow feeling with the author. There are detailed descriptions of the prisons themselves, of the work, the problems and the dangers. And lest the reader should tire of purely prison fare there are amusing accounts of his adventures on leave. The book might perhaps have been more aptly titled, and produced less carelessly. But these are minor blemishes. 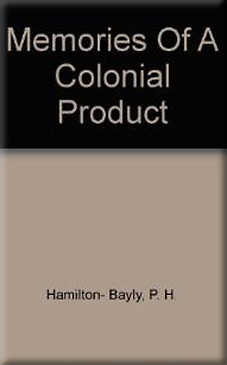 The reader will applaud Hamilton-Bayly for his personal success in colonial prisons and for portraying them in such expressive style. He will shut the book with a wry smile.